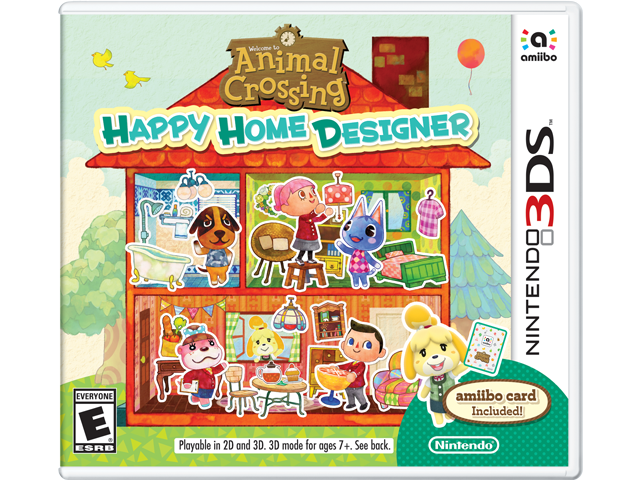 Design Your Own Animal Crossing™ Home! Show off your style by designing homes for all of your favorite Animal Crossing villagers! Use your creativity to design the perfect houses—inside and out—for both old and new friends. With the new amiibo cards, you can even call your favorite villagers into the game. This version of the game includes one amiibo™ card.